Memory foam pillows have made a name for themselves in the pillow world due to their ability to provide superior comfort and support throughout the night. They have become a people’s favourite due to their ability to maintain a neutral spine as you sleep, consequently improving your posture and your general health. With the promise of a good night’s sleep that is comfortable and pain free, it is no wonder that the demand for memory foam pillow has grown over the years. To satisfy this growing demand, a number of players have introduced their products into the market, as is expected. The down side of this plethora of options when it comes to memory foam pillows for the consumers is the confusion as to what pillow is the best. Each brand will make claims as to why it out does the others. Your choice of the best memory foam pillow is a personal one as pillow needs differ. It is for this reason that one has to consider a number of things before spending money on these pillows. This simple guide will take you through the ABCs of memory foam pillows and give you an understanding of things to be considered before purchasing one. Memory foam is a polyurethane derivative that has gained popularity in the mattress and pillow world. It is preferred due to its malleability. 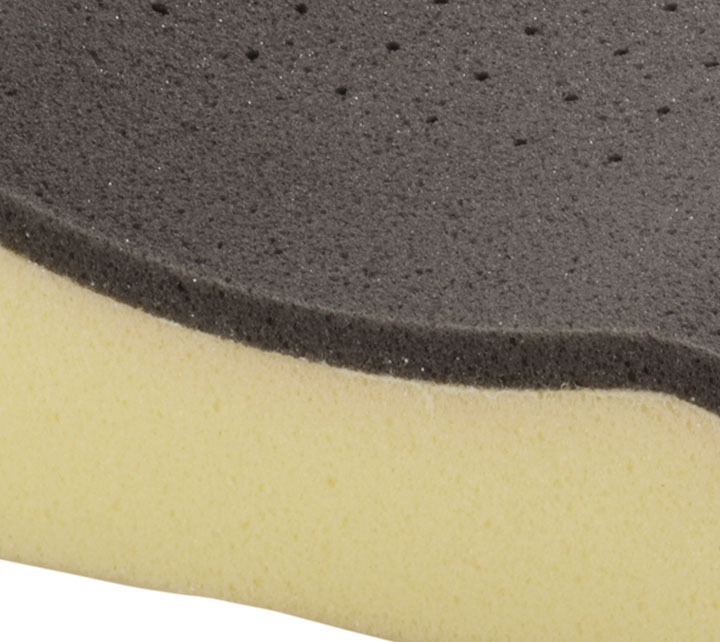 This foam is highly responsive to temperature and pressure changes. It is these properties that make it a preferred material for pillow use. As your body heats up and cools down as you sleep and as you change positions in your sleep, the foam adjusts to the changes in temperature and pressure. This allows it to adequately adjust to the natural contours of your body. There are different types of memory foams. Traditional memory foam only makes use of polyurethane. While it is comfortable to sleep on and provides ample support, it tends to retain heat. Open cell memory foam is an improvement of the traditional foam in that it makes it possible for effective airflow to occur within the mattress. It, therefore, maintains all the benefits of the traditional foam with the added advantage of heat dissipation. ​Gel-infused memory foam are further divided into gel foams and gel phase change material (PCM) foams. The former serve a cooling function in the pillows allowing for heat generated by the body to be absorbed and the pillow to remain cool. The latter plays a thermoregulation role. The PCM micro beads are capable of both absorbing and giving off heat depending on the body temperature of the user. Heavy: Memory foam pillows have been found to be relatively heavier than other pillow types. This can be attributed to the nature of the foam used. Hot: Memory foam pillows have in the past been found to retain heat. This makes them a rather uncomfortable option for use in hot weather or in hot and humid climates. This has, however, been corrected for with the introduction of gel-infused cooling pillows and the use of open cell memory foam. The use of a breathable pillow cover may also help in correcting for the heat retention properties of these pillows. Price: Compared to other pillow types, memory foam pillows have been found to be rather pricey. While they are supportive and comfortable, buyers have often shied away from them on account of price point alone. Off-gassing: Off-gassing refers to the emission of a factory, often chemical, odour when the pillow is first purchased. Off-gassing in memory foam pillows has been reported to last several days after purchase. This can however be remedied by airing out the pillows for a few days before use or simply washing and drying them (if it is recommended by the manufacturer to do so). Memory foam pillows are beneficial to almost everyone who uses them. There are, however, those that are bound to accrue more benefits from the use of these pillows than others. People suffering from chronic pains in the neck, shoulder, back, and other joints may find these pillows helpful in providing pain relief. The pressure distribution properties of these pillows coupled with their ability to conform to the body’s natural contours allows for reduced pressure build up and keep the body from being unnecessarily strained. Users with sensitive respiratory systems may also find these pillows to be particularly useful. This is because of their hypoallergenic properties. Memory foam pillows are said to be dust mite resistant, and anti microbial. This means that they naturally wad off any allergens that may accumulate in the pillow surface. People who suffer from snoring and, or sleep apnea may also find these pillows to be useful in providing a good night’s rest. By providing proper alignment, they open up the airways to allow for effective breathing. Their hypoallergenic properties also contribute to the improvement of breathing by their users. Contoured memory foam pillows are perhaps the most popular pillows amongst those suffering from chronic neck pains as well as amongst back sleepers. These pillows are designed such that they have a ridge running the length on either side of the pillow and a groove in between these ridges. The ridges are designed to offer the necessary support and alignment to the neck while the groove’s role is to cradle the head. Shredded memory foam pillows are much like traditional bed pillows in appearance. It is stuffed with shredded versions of the memory foam instead of solid foam. The shredded foam allows users to adjust for the pillow’s loft and firmness as they see fit. They can simply take the foam out of the casing or add some more to get the loft and firmness they desire. It is this adjustability of the pillow that makes it an ideal fit for all types of sleepers. Wedge foam pillows like the name suggests take the shape of a wedge. These pillows is best for people with respiratory conditions, acid reflux, pregnant women, and back pain. They are not only supportive for the upper back body but can provide the much needed support to the lower back body as well. These pillows double as reading pillows and can be used to provide support and improve spinal alignment when sitting upwards. ​Traditional memory foam pillows draw their name from the shape and style in which they are manufactured. They can be found with either a single seam and an average loft or a double seam and a high loft. The latter is preferred over other traditional pillows for adequate shoulder and neck support. The Size Of The Pillow: The size of the pillow will determine the comfort derived from your pillow of choice. The size of the pillow should be determined based on the amount of available bed space as well as your body size and weight. Generally the smaller you are in size and the less the available bed space the smaller your pillow size will be. Sleeping Position: Your preferred sleeping position will determine the size and height of the pillow. If you are a side sleeper then a pillow with a high loft is best suited for you as you need to fill the gap between the head and the shoulders in order to get proper spinal alignment. Back sleepers require a medium loft pillow that keeps the head in place without forcing the neck to bend too forward or backwards. Back sleepers may find contoured memory foam pillows to be beneficial due to their design. Type of Foam: Memory foam pillows can either come in traditional foam, open cell foam, shredded foam, gel-infused foam or PCM gel foams. Depending on your pillow needs and your location, these foams will serve different purposes. PCM gel foams are suitable for all weather, all season comfort while shredded, gel-infused, and open cell memory foam pillows are best suited to keep you cool. Traditional memory foam pillows can be useful in cold conditions due to their heat retention properties. Adjustability: Some people require different pillow heights and firmness as they sleep. This is especially true for people who sleep in multiple sleeping positions. Shredded memory foam pillows can offer this adjustability where pillows are concerned. You can easily reduce or increase the amount of foam as needed. Versatility of Use: You get more value out of your pillow if you can use it for multiple purposes. Traditional and wedge foam pillows are perhaps the most versatile memory foam pillows. The latter is especially useful as a reading pillow and as a pregnancy pillow. Warranty: The warranty period of a pillow is a good indication of the pillows quality and longevity. The longer the warranty period the higher the quality of the pillow is likely to be and the longer the pillow is likely to last. Memory foam pillows will differ in their shape, size, filling, and firmness. Due to the different market needs to be catered to; manufacturers have developed a multitude of products for consumers to choose from. This seemingly endless sea of choices can prove to be a source of confusion even for the most decisive shoppers. It is for this reason that we have compiled a review of six of the top rated memory foam pillows including their advantages and disadvantages. The Coop Home Goods shredded memory foam pillow has been included in this review due to its adjustability and affordability. It is a fairly priced memory foam pillow compared to its counterparts. They also boast of being comfortable yet equally supportive. To add to its comfort, the pillow’s cover is made from a bamboo polyester blend with the bamboo portion being 40% and the remainder 60% being polyester. The bamboo component of this cover is effective in allowing for heat dissipation and effective air flow within the pillow. Apart from giving it its adjustability properties, the shredded memory foam allows for the pillow to be shaped as the user desires. This also makes it possible for the pillow support to be customized to the user’s needs. The Snuggle-Pedic Ultra Luxury Bamboo Shredded Memory Foam Pillow is a people’s favourite due to its ability to provide an equal amount of comfort to the much pricier down pillows. Its comfort is derived from the use of shredded memory foam that not only allows for the pillow to be firm and comfortable but to be equally breathable. The shredded foam also allows for users to shape the pillow as needed and adjust its height and firmness to a suitable level. Given the personalized nature of pillow needs, this pillow would be best suited to the needs of a wide variety of clients. To ensure that the pillow stays cool, it comes with a removable outer case that makes use of Snuggle-Pedic’s Ultra-Luxurious Kool-Flow™ Micro-Vented Bamboo technology to ensure ample airflow and pillow breathability. This cover can be machine washed thus making the pillow rather easy to maintain. 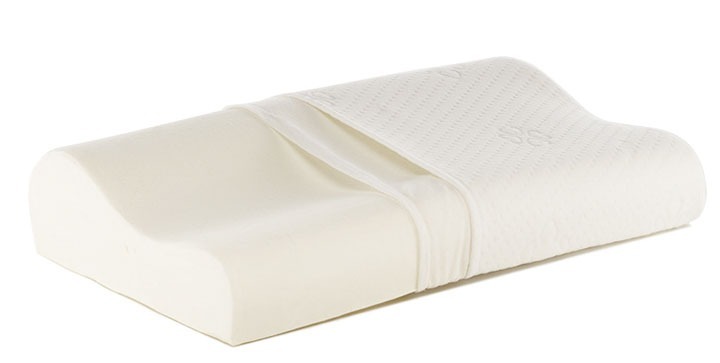 The SleepBetter Iso-cool memory foam pillow has earned a spot on this guide due to its overall comfort and its ability to stay cool throughout the night. This not only helps to solve the problem of providing proper support and spinal alignment, it also improves sleep by ensuring an optimal sleeping temperature throughout the night. If you suffer from night sweats and, or menopause then you may relate to the sleep difficulties that are related to high temperatures. It makes use of 100% Visco-elastic foam Active Air Technology™ to improve air circulation within the pillow. Its cotton cover is also made to be breathable thus aiding in the pillow’s cooling abilities. An added advantage is that the memory foam used in this pillow is PCM infused. This way, it not only keeps you cool; when needed it releases heat in order to warm you up. Its gusseted design aids in enhancing the supportive functions of this pillow. It provides support and proper alignment that both back and side sleeper are constantly looking for in any pillow. The Classic Brands Conforma cushion firm memory pillow is thus included in this review due to its ability to provide this much needed support. This is attributable to its loft of about five inches. Another key feature of this pillow is its breathability. Its design incorporates numerous holes that allow for effective air circulation. This free flow of air does not only keep the pillow nice and fresh but it allows for heat dissipation. The result of this breathability is a cool pillow. A stiff neck and, or sore shoulders are some of the problems that come with poor sleeping postures and have the potential to interfere with our sleep. The Sleep Innovations Memory Foam Contour pillow is, therefore, included in this review due to its role as a sleeping aid for people who suffer from chronic neck pain. Some users have reported the pillow to keep their neck pain in check. This can be attributed to its contour design that allows it to hold the head in place while actively supporting the neck. The combination of a SureTemp foam and a primarily cotton outer cover allow for this pillow to be breathable. To make it easy to use and maintain, this pillow comes with a removable cover that is machine wash friendly. What’s more, it comes with a warranty period of five years and is fairly priced compared to some of its counterparts. The Xtreme Comforts Bamboo memory pillow has been featured in this guide due to its versatility of use. This pillow can be adjusted to attain a loft and firmness that the user finds suitable. This allows it to be used by all sorts of sleepers. It is CertiPur-US certified, a mark of environmental friendliness and quality. It is also a toxin free pillow and is devoid of any heavy metals. The shredded memory foam allows the pillow to conform to the natural contours of your head and neck. This helps it to maintain the support and comfort to your head and neck even as you shift your position in your sleep. The shredded foam together with the removable bamboo cover that makes use of micro-vented kool-flow technology help to improve the air flow and hence the breathability of the pillow. The resultant effect of this combination of technologies is a constantly cool pillow. Its hypoallergenic and easy to clean properties make it a suitable pillow for people who suffer respiratory problems. Compared to down pillows, memory foam and bamboo pillows have been found to be effective at heat dissipation. The latter are, therefore, better at keeping the body cool and promoting faster and better sleep. While down pillows are preferred due to their softness and light weight they have been found to lack the ability to provide adequate support throughout the night. This is because as the feathers absorb heat and moisture throughout the night they tend to lose their fluff and collapse. Memory foam and bamboo pillows are almost similar in their performance from a comfort and supportive point of view. This similarity is attributable to the fact that the only difference between the two is the material used on the outer cover. Bamboo pillows are basically memory foam pillows with outer covers made from bamboo derived Rayon or a polyester. Bamboo pillows have, however, been found to be better at thermoregulation and heat dissipation than memory foam pillows. They are both hypoallergenic while bamboo pillows are considered to be more environmentally sound. Memory foam pillows can be confusing in terms of the care that is required. The manufacturer will usually give the users proper directions on how to clean it. This is not to say that there lacks a commonality in the aftercare instructions of this pillows. Care must be taken when removing these pillows from their packaging. Users are advised to air out the pillows before use in order to allow ample time for off gassing. This also allows the pillows to attain their actual height. Cleaning the pillows is important to ensure hygienic sleeping conditions. Most memory foam pillows are not machine wash friendly. Spot cleaning with a mild detergent and warm water, followed by ample time for air drying is recommended. By tumble drying them, you risk damaging the memory foam causing the pillow to degenerate at a much faster rate. A majority of the removable covers that often accompany memory foam pillows are machine wash friendly and can either be air dried or dried in a drier. Memory foam pillows are a comfortable and supportive alternatives to down and bamboo pillows. They come in a variety of foam types, sizes and shapes. These pillows have become a people’s favourite due to their ability to respond to body heat and pressure and conform to the body’s natural contours. People suffering from shoulder and neck pain have fond these pillows to be a useful sleeping aid. By effectively distributing the weight and resultant pressure exerted by your head and neck and by maintaining a proper spinal alignment when you sleep they help to relax the body’s muscles and reduce the strain put on them. Be sure to thoroughly research the features of your memory pillow of choice before you purchase it. Keep in mind the pillows firmness, adjustability, versatility of use, affordability among others whenever you are looking to make a memory foam pillow purchase.